Lyon’s versatile midfielder Nabil Fekir is set to be on his way to Liverpool, and the move that was expected to have taken place this week could now happen after the 2018 FIFA World Cup. Lyon president quashed media reports about any possible deal, and cited them as ‘fake news’, but the move is still set to happen in this summer. The talented French player, who can play in midfield as well as attack, is said to be the 2nd major signing of the Reds this summer, after Monaco’s Fabinho joined the Merseyside club. The 24-year-old attacking midfielder is expected to make a £53m move by signing a five-year contract. 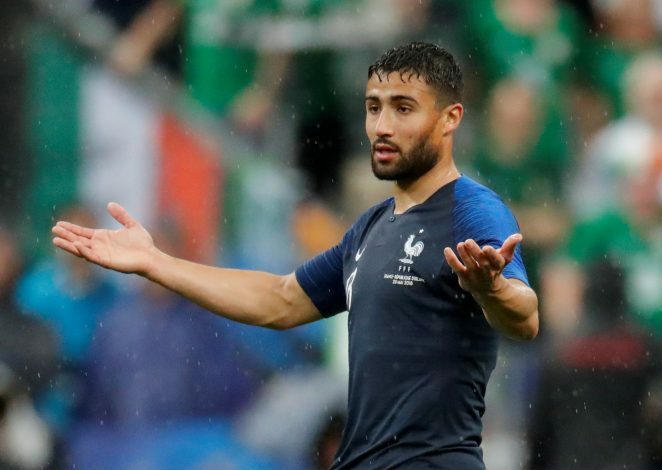 Fekir has reportedly chosen to decline European heavyweights Atletico Madrid and Bayern Munich in order to become a part of Jurgen Klopp’s exciting project. But as fans seem excited on how the team is shaping up, many will not be too happy on what the talented player had said about Manchester United back in 2015. The Lyon player had seen his youth squad teammate Anthony Martial join the Red Devils from Monaco, and discussed his move in an interview, praising the forward before going on to talk about United. Well, he did go on to have a wonderful time at Lyon, and with United not showing any interest, a dream move could happen for Fekir in the form of a Liverpool switch.